Spoons. Shows. Spoons at shows. It’s been far too long since my last post, so here’s a picture of a calla lily spoon I finally got around to finishing last week. The blank for this was cut by Bill Myette. 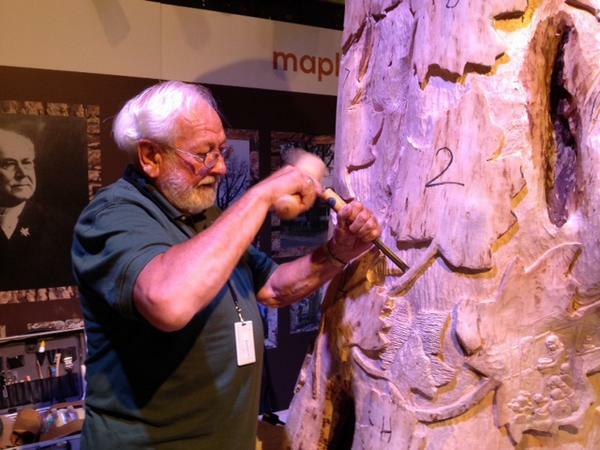 Bill’s an executive member of the Ontario Wood Carvers Association (shown here working on the Maple Leaf Forever Tree at the Ontario Science Centre). Alongside his larger projects Bill’s an outstanding spoon carver. 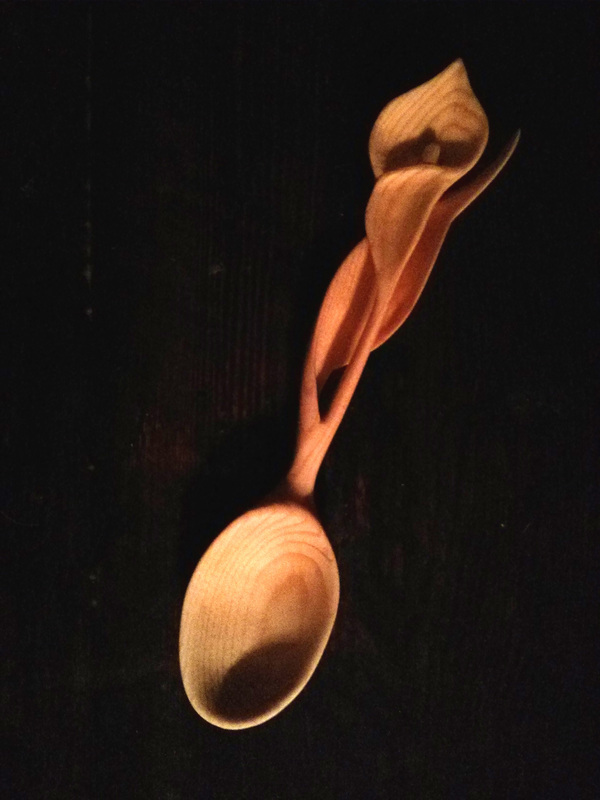 He’s led spoon carving workshops at the Toronto Tool Library, and you can also find him at many Ontario carving club shows, where he staffs the OWCA booth and sells finished spoons and project blanks. The next of these shows will be the Hamilton Woodworking Show, February 27 and 28 at the Canadian Warplane Heritage Museum. Hope to see you there! This entry was posted in Uncategorized and tagged carved wooden spoons, Hamilton Woodworking Show, Maple Leaf Forever Tree, Ontario Science Centre, Ontario Wood Carvers Association, Toronto Tool Library, woodcarving on 03/02/2015 by diamondcarving.